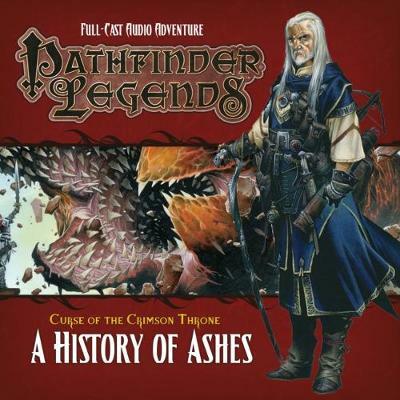 A fresh new adventure from Big Finish and Paizo in a third series of stories based on the popular role-playing game Pathfinder. A thrilling full-cast audio with cinematic sound design and music based in the Pathfinders universe: a globally successful role-playing game. The path to save Korvosa leads Ezren, Valeros, Harsk and Merisiel far beyond the ravaged city's walls. In the burning plains of the Cinderlands the tenacious tribes of the Shoanti barbarians protect an ancient secret that might be the only way to save the Jewel of Varisia from ruin, but Korvosa has been their enemy too long for the proud natives to give up their knowledge freely. Only by learning the ways of the Shoanti and facing their sacred trials can the Queen's champions hope to save Korvosa. CAST: Stewart Alexander (Valeros), Trevor Littledale (Ezren), Ian Brooker (Harsk), Kerry Skinner (Merisiel), Louise Faulkner (Trinia Sabor / Zellara), Amy Newton (Cinnabar), Marcus Churchill (Scout), John Green (Trader / Gren), Steven Elder (Krojun), Toby Longworth (Thousand Bones).